Loading Penguin Hugs combines adorable illustrations with wholesome messages to cheer you on. Expressions like “You are not a failure. You are still growing!” provide encouragement and promote healthy mindsets. Chen’s chubby penguins, hedgehogs, Chibirds, and friends of all shapes put a smile on anyone’s face, and they’ve already made millions smile on Instagram, Tumblr, and GIPHY. 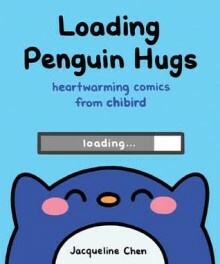 Loading Penguin Hugs is full of brand-new Chibird comics alongside popular favorites. The book comes with two bonus pages of cute exclusive stickers, and the cover features a special silver foil detail! This inspiring book is perfect for new and old Chibird fans. Chen and her animal friends are ready to brighten anyone’s day, one comic at a time.